This week is the BETT education conference, which means that there are plenty of education-focused devices being announced. 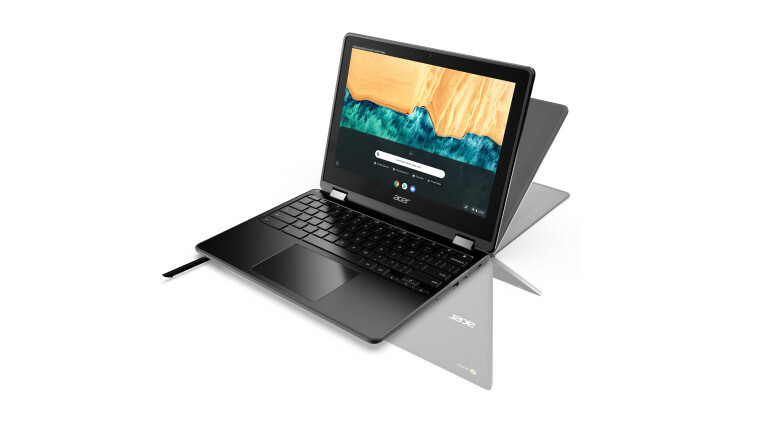 Acer today unveiled a pair of new Chromebooks, the Chromebook 512 and the Chromebook Spin 512. Both PCs are pretty much the same, except the Spin is a convertible that has a built-in pen. Both machines are powered by quad-core Intel processors, either Pentium Silver N5000 or Celeron N4100. Acer says that these PCs are its first 12-inch Chromebooks, and they even have a 3:2 aspect ratio, with a resolution of 1366x912. Battery life is up to 12 hours. They're also meant to be tough, standing up what a student might do to it. They're MIL STD-810G certified, and they can withstand drops of up to four feet. There's a shock-absorbing bumper that protects it against 132 pounds of downward force. And of course, the keyboard is spill-resistant. The Chromebook 512 will start at $329.99 and the Chromebook Spin 512 will start at $449.99. Both will be available in North America beginning in April.